Just a quick note to remind everyone that the Con or Bust auction of The Enceladus Crisis and The Daedalus Incident ends Sunday, Feb. 23, at 5 p.m. EST. This is indeed the very first copy of The Enceladus Crisis available to the general public prior to its May 6, release, so your geek-bragging rights are ensured if you win. 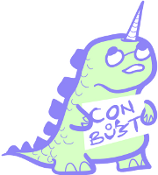 Con or Bust helps people of color attend SF/F conventions if they can’t otherwise afford it. This is awesome because we’re helping fans get their geek on, and the rest of us get in on their perspectives and general fan-awesomeness. Everybody wins. There’s a ton of great stuff on offer at Con or Bust besides my books. There’s a full directory here. Check it out and get bidding!